Really? Cardio Beats Strength on Metabolism? A fascinating new study in the JCI Insight is spawning some tantalizing headlines. “Cardio Boosts Metabolism More Than Strength Training” says the Independent. Wow! Can a study of just ten healthy men really support such a sweeping claim? The short answer is no. But it’s still a fascinating study. Thomas Morville and colleagues conducted a careful study with an elegant crossover design. Ten healthy men randomly alternated between rigorous cardio and strength training. Researchers measured metabolic parameters along the way, with a special focus on bile acids and fibroblast growth factors. They found a big rise in FGF21 – one of the fibroblast growth factors – after cardio training. A second factor, FGF19, dropped slightly after strength training. This was a surprise because researchers were expecting it to rise. The bottom line on this study is deeper insight into distinctly different metabolic effects from strength and cardio training. But it’s not evidence that one is better than the other. 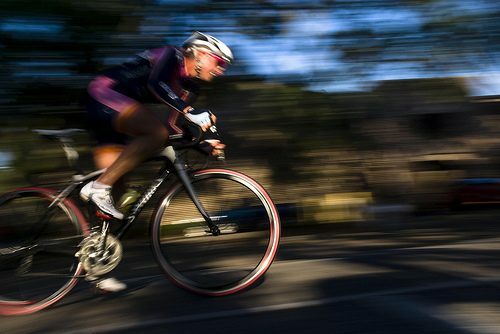 Endurance training on a bicycle has such a marked effect on the metabolic hormone that we know we ought to take a closer look at whether this regulation of FGF21 is directly related to the health-improving effects of cardio exercise. FGF21’s potential as a drug against diabetes, obesity and similar metabolic disorders is currently being tested, so the fact that we are able to increase the production ourselves through training is interesting. In the end, we have a whole body of research to tell us that both cardio and strength training are important. They have different effects. And now we have deeper insight into those differences. But, in a sense, both of them are winners for metabolic health. Click here for the study, here for perspective from Medical News Today, and here for further perspective on cardio and strength training.